Plan now for year-round, non-stop seasonal events at Hong Kong Disneyland Resort in 2018! Hong Kong Residents to enjoy 15% off for Magic Access Group of 3 Special Offer now! HONG KONG, November 13, 2017 — Hong Kong Disneyland Resort (HKDL) is ready to unleash a year of unprecedented magic in 2018 with first-of-its-kind entertainment, colorful seasonal events all year round and even more chances to connect with beloved Disney stories and characters! Guests can enjoy non-stop Disney fun and new excitement throughout the year at HKDL whenever they visit in 2018! The resort announced its 2018 event calendar today, covering 365 days of non-stop Disney fun filled with seasonal events in the coming year. 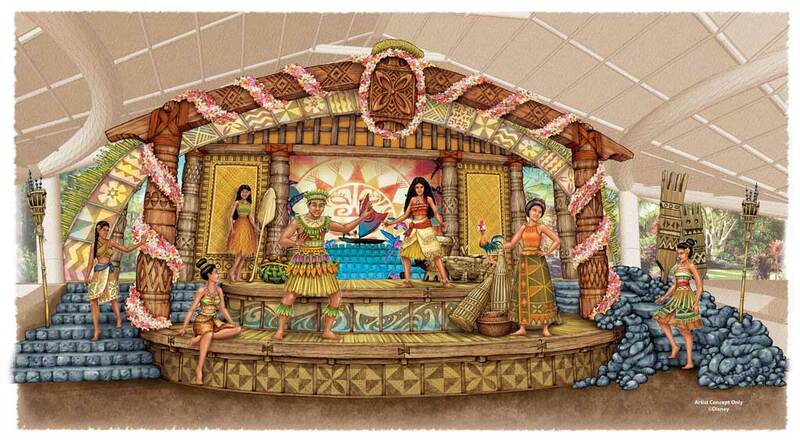 Opening in December 2017 Young guests can get regal makeovers and meet their favorite Disney Princesses at the new Royal Princess Garden. 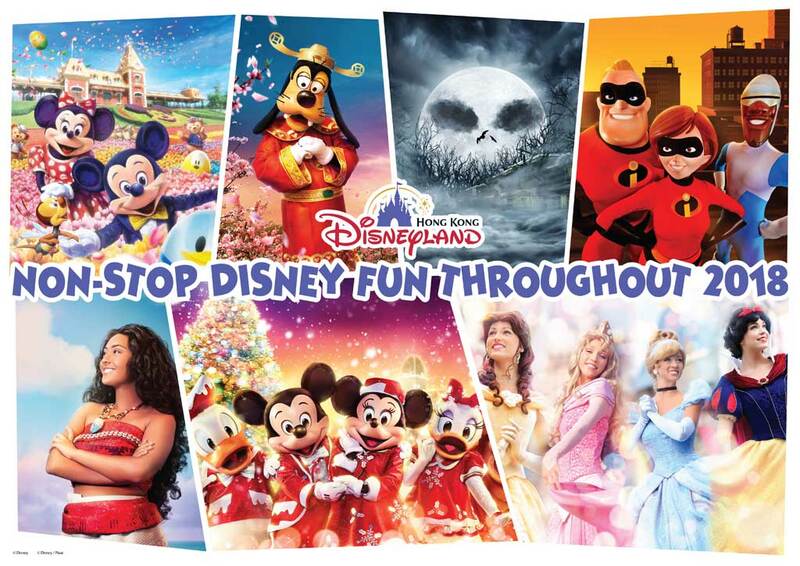 Click here for highlights of the non-stop Disney fun in 2018! Out on Main Street, U.S.A., guests and their families can enjoy the bustling, festive New Year atmosphere by taking photos of the lucky red and gold decorations all around. Be sure to greet Mickey and his pals, who will all be dressed up for the occasion in their holiday finest. A range of festive delicacies will be presented in the park and three resort hotels, including classic Chinese dishes like “lo hei” and Chinese New Year-themed meals and snacks. To celebrate the Year of the Dog, don’t forget to pick up some themed merchandise items, such as red packets and traditional decorations, to share the joy and blessings of Chinese New Year! Lucky guests may even receive a Disney-themed red packet while visiting during the Chinese New Year event, which runs from January to March, 2018! The Disney Friends Springtime Carnival is a colorful one-of-a-kind event filled with more Disney characters than anyone could imagine! Guests can enjoy whimsical character encounters and reconnect with longtime Disney friends in different ways. Of course, there are also festive springtime sculpts for every photo need. Guests can enjoy hunting for over 100 character-themed eggs hidden all around the park! One of HKDL’s most popular seasonal events is our yearly Halloween bash. Next year’s fright-filled Halloween party will present guests with an enhanced event, featuring even more spooky fun during Disney Halloween Time from September to October in 2018. Join Jack Skellington and his crew of baddies, along with more Disney Villains that guests have yet to meet, as they turn the park upside down in true Halloween fashion! For guests seeking wintertime wonderment, HKDL is the ultimate choice for an unforgettable Christmas atmosphere in Hong Kong. Get into the holiday season at A Disney Christmas during November 2018 to January 1, 2019! Join Mickey and friends at a joyous daytime show, listen as carolers sing Christmas tunes, experience the heartwarming tree-lighting ceremony and so much more! The enhanced Christmas event is the most delightful way to enjoy all-things Christmas … including snow! 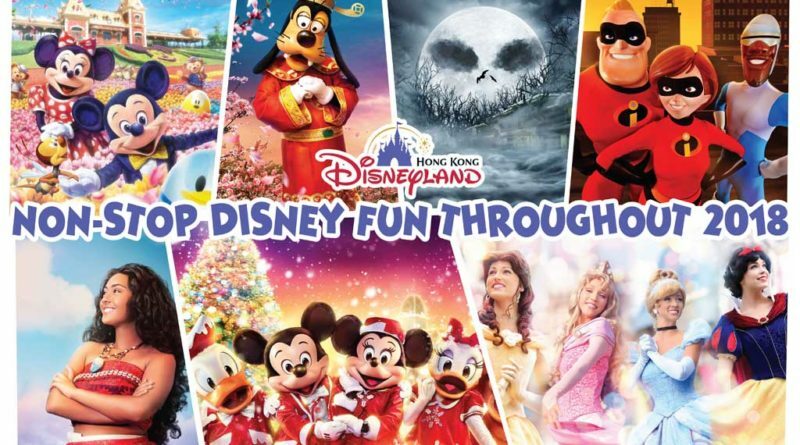 From now to January 31, 2018, Hong Kong residents can visit the ticket booths at the park or HKDL.com to enjoy the Magic Access Group of 3 Special Offer^. Buy three or more Magic Access annual passes (except Senior Memberships) to enjoy 15% off the purchase! With so many new attractions and events on the way, guests can make the most of their trip by getting a Magic Access Membership to enjoy exclusive discounts on dining, merchandise and hotel accommodation. Members may also enjoy exclusive content and even sneak peeks of new seasonal events. In 2018, a series of tailor-made programs* have been planned for Magic Access Members, including a brand-new Disney Music Program, a collectible Disney Egg Pin redemption activity available during the Disney Friends Springtime Carnival, Pixar Friends Summer Party, and a special program namely Mickey and Duffy Jolly Holidays!